Marian Levett, Nonfiction Author | Making success look smarter. There are some basic life skills that should be required in order to graduate into Adult Human Being. Barring the slim chance you were born into royalty, you should know how to prevent your own bathroom from turning into a hazardous waste dump. Unfortunately, most of us have to learn how to clean the usual way – in an encounter with the Roommate/Lover/Spouse from Hell. Cut down on your bathroom cleaning time and stop being embarrassed to invite friends over. Whether you’re a novice college undergrad, a cleaning diva, or a spouse with a guilty conscience, this is the cleaning guide for you! 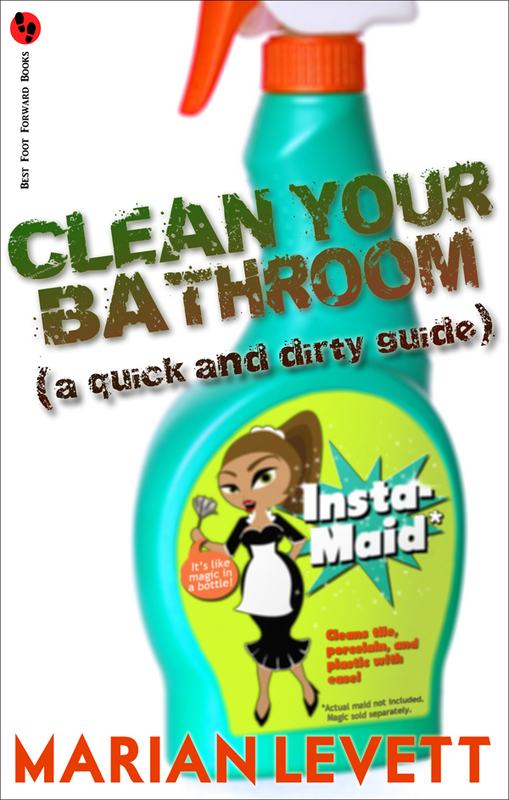 Clean Your Bathroom Now On Sale at Barnes & Noble! Clean Your Bathroom – Live on Amazon!